Andrea was incredibly knowledgeable and eloquent, and spoke extremely good English. She incorporated other aspects of the city as we moved between the Jewish heritage points of interest. She was also very kind to get access to and introducing me to the people in the Jewish Records Office. I had a very informative morning, Andrea never lost my interest and suddenly we were at the end of the 4 hour tour. This was not just a Jewish heritage tour. Andrea is a wealth of knowledge in so many areas. She is enthusiastic, entertaining, patriotic, she went above and beyond to try and assist us in our search for information. I would highly recommend Andrea to everyone, she is really amazing. You will not be disappointed! Our your with Andrea was wonderful! She had our day perfectly planned and organized beyond our expectations. She was very professional, upbeat and a delight to be with. We learned so much about this wonderful country and it's history. I highly recommend touring with Andrea! Andrea did an outstanding job with our larger group of 10 people. Her knowledge of geographical and political history in Hungary was particularly helpful in understanding the historical base for Budapest. We had asked her to walk us through some of the interesting sites that are not on the typical tourist trail, and she did this without skipping a beat. It was a wonderful walking tour and as a group, we think Andrea is tops! Andrea was an excellent tour guide!! We were amazed at just how much we saw in one day. She is incredibly informative, does not rush and has great insights on the area. Highly recommend her! My husband and I did the Jewish history walking tour with Andrea. The tour was excellent and Andrea is a fantastic guide who speaks fluent English. We visited the historic synagogues,relevant sites/memorials/statues and walked through the Jewish quarter. We learned a lot from Andrea about the Jewish community in Budapest over the past few centuries as well as the history of the Jewish community and Jewish ghetto in Budapest during the Holocaust. Would highly recommend this tour. Pleasant and well informed. On time and sensitive to our schedule. Great resource and guide. Andrea did a wonderful job!! We received an extensive education in a short amount of time. She made the history of Budapest come alive. We especially enjoyed Andrea sharing some of her experiences of growing up in Communist Hungary. Thank you for a delightful day! Andrea has been a great guide. She was accompagnied by a driver so that she was fully dedicated to us. We saw and learned more in a four hours tour than exploring the city by ourselves during a whole WE. Definitely worth the money. Andrea was so knowledgeable! I had a group of 15 people and we did a minibus Jewish Heritage tour of Budapest. Andrea always had a a smile on her face and she was a treasure trove of information. I needed a vehicle because a few people in my group had walking issues and Andrea arranged for it. It made all the difference. This was my first experience with Tours by Locals and I couldn't have been more pleased. 5 stars for sure! This was day 2 with Andrea and she did not disappoint with this country tour. We again widely broadened our understanding of this region and its deep roots. The country town lunch spot was simply excellent, followed by wandering the streets of this unique and interesting almost "Mediterranean" themed town. She was never rushed and was so thorough and accommodating. Her driver and car were so comfortable. She should be at the top of your list. You will always enjoy a day with Andrea. Andrea is so knowledgeable and has such personal history of Budapest that she will amaze you. Even her last name is translated to "Hungary". It adds so much to the depth of a tour when someone can relate real family history with all of the deep history that exists here. She also kept the day moving and covered more than we even expected. And then she went above and beyond by arranging a evening dinner cruise on the Danube with some people we were meeting later. We highly recommend her service. We had the pleasure of taking the motorized tour of Jewish Budapest with Andrea. Andrea began with an in-depth explanation of our Hilton Hotel, Castle District and the local area. From the outset, you could tell that she has a genuine passion for Budapest and can skillfully convey the information in a clear and concise manner. On a personal level we shared some historical documents of Hungarian roots and Andrea was kind enough to interpret the documents with expertise. Great tour, Tours by Locals, a must! Fantastic tour. Andrea combines her vast knowledge of the city with a great sense of humor to make a memorable time. Highly recommended. Andrea was an incredible guide. The depth of her knowledge about Budapest and the Jewish community was impressive. She was engaging and very easy to be engaged with. Our many thanks to her for making our visit one to remember for a very long time. Could have not asked for a better tour guide. Tour was most informative, guide very pleasant, full of knowledge and more than willing to accommodate our personal needs. 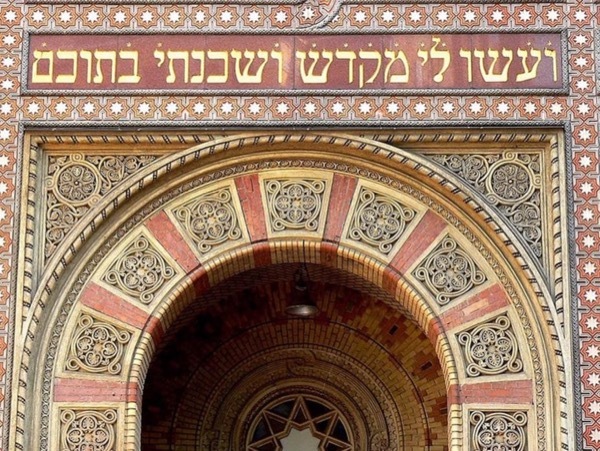 Thoroughly enjoyed her tour of Budapest, especially the Jewish quarter, and would be happy to recommend her to anyone travelling in that area. Absolutely amazing tour with Andrea! She had a great sense of humor, was engaging, extremely knowledgeable, and offered a personal perspective which kept our interest peaked throughout the entire tour! We will return and try to book even more time with her on our next trip! She has our highest recommendation!!!! We had an insightful 4 hours with Andrea and Josef. Being Christmas Day, many of the popular attractions were closed, but Andrea skillfully planned an itinerary which provided the overview of Budapest that we were looking for, and provided context for important historical events. We saved a lot of time using a car, and Andrea provided a late model Mercedes which was in impeccable condition. Would not hesitate to recommend. I had back to back tours with Andrea on Oct 29, 2017. What wonderfu tours she presented filled with historical data, personal insights and sharing her love of Budapest. One of the best tour guides I have ever had. If you want to tour Budapest, touring with Andrea is a must. We had three half days with Andrea and enjoyed them thoroughly. She is a wealth of knowledge. Five stars--I know so much more about this country and its history than I thought possible to absorb in three days. We were a group of 8 people, all in our 50's and in Budapest for the first time. I have used toursbylocals for many years and in many cities around the world. 90% of the tour guides have been excellent worthy of 5 stars, however every so often you come across a jewel in the crown , both as a tour guide and as an individual. Andrea was that exception. Her insight; knowledge and perspective was next to none and delivered in perfect English with a passion that electrified our tour. We visited Budapest from Calgary, Alberta. Andrea is very knowledgeable about the history and politics of her home country and City. She has lived, studied and visited many parts of the US and Canada. This was helpful in comparing and contrasting our different ways of life, politics, economics, and views of the world. She provided knowledge of all the positive aspects of Budapest and Hungary and was not afraid of also providing honest information on some of the shortcomings. We highly recommend her. Andrea is a FABULOUS tour guide and an even better person. Extremely knowledgeable, informative, friendly and she has a great sense of humor. The customized itinerary she set up was perfect. Her tours were the highlight of our 12 day European vacation. If you are in Budapest and don't book with Andrea, you will have missed a tremendous opportunity to learn about and experience Hungarian culture and sights in a short time with the best guide in the area. Andrea was a fantastic guide! We learned so much about both the history of Jewish Budapest as well as more current events. She tailored her comments to the interests of my family. Our 3 children were not excited about a 4 hour Jewish history tour, but they ended up loving it and saying they wished we had more time with Andrea. I would highly recommend her as a guide. Andrea was A-M-A-Z-I-N-G! She took my family (kids ages 4-17) on a Jewish heritage tour of Budapest and kept them engaged, fascinated, and entertained for 3 whole hours. We all loved her and learned so much! HIGHLY RECOMMENDED! We transferred to Budpest on the morning of our late afternoon tour with Andrea. Our four hour orientation tour (in a chauffeur driven, luxury car!) was the perfect way explore and learn about the history and sights of both Pest and Buda. Andrea's extensive knowledge and personal family stories made our tour even more meaningful, particularly when she spoke about the periods of anti-Semitism, WWII, and the Communist era in her hometown. Andrea and her driver Josef were punctual and delightful. They both spoke excellent English. Traffic was heavy due to all of the upcoming events but Josef knew how to maneuver through Buda and Pest efficiently so we could complete the tour. Andrea took us to places the average tourist would not have seen. She provided an excellent insight into Hungary, its history, culture and everyday life. She was very patient in answering our questions and had a good sense of humor. We highly recommend them both. We had an amazing tour with Andrea. She was extremely knowledgeable and kept the tour interesting for the entire 4 hours. We can highly recommend her. Andrea was very knowledgeable and provided a tour with an excellent mix of major historical sites and areas frequented by the locals. The vehicle and driver were also excellent and the tour had a good ratio of walking to driving. Andrea was punctual and ready to go. She discussed the points of interest my wife had previously mapped out and we set off. As we proceeded she provided interesting and informative commentary, in excellent English. At each stop she knew exactly what we wanted and ensured it happened. Photo opportunities and interior visits where requested were no trouble. Her driver was also excellent, with a very good knowledge of where we needed to go. We would have no hesitation in recommending Andrea to anyone. Andrea was the best. My daughter and I had just arrived in Budapest a day early for a Danube River cruise. We were severely jet-lagged from our red eye flight, but Andrea kept us alert and happy for our 4 hour private tour, with a car and driver. She tailored the tour to our interests and gave us so much information in a friendly, conversational style. It was absolutely the best way to get introduced to Budapest. I recommend Andrea to anyone who wants a professional,personable tour guide. Everyone should use tours by locals. Being with or guide Andrea was like visiting an old friend. Andrea was very informative. she also adapted our tour accordingly on short notice. W really enjoyed her wealth of knowledge. Andrea was amazing. I hired Andrea to take myself and my 69 year old parents on a tour of Budapest and she could not have been more knowledgeable and accommodating. My mother has mobility issues and Andrea made sure to pace things perfectly for her. It was a great tour!!! Words can really never do justice to a genuine human encounter. Andrea is a brilliant person but a much brighter soul. I will never forget Budapest because of this special woman of vigor and passion. We learned, we laughed, and we are better people for our meeting. I discovered that under that genius mind of her's is a soul that feels at ease with the impact of communism as well as the 13th century Persian mystic poet Rumi. I will always remember Andrea, she is Budapest at its best. Informative and interesting tour. Andrea is bright and knowledgeable. She took The time to explain not only the Jewish history in Budapest, but current events as well. Great tour. Great guide - who gave us such a nice background on the people and the city. One of our very favorite tours (out of dozens taken). Would recommend either any time. Andrea was full of both knowledge and life. She maximized the entire 8 hours. We really enjoyed getting to learn about her country and well as hearing about her anadonatal comments about how her heritage played from her own family's experience. Andrea is a great proffesional with superb people skills. She tailors her tours to provide the most of this beautiful and history rich city. Budapest history, culture, archtecture become live and meaningful as you walk with Andrea. We had a perfect day exploring the city thanks to Andrea. An absolutely wonderful experience. Andrea was very knowledgeable and informative. And a nice person to boot. This is a tour that shouldn't be missed. She is a gem! We had a great day tour with Andrea (we changed it to a tour of Budapest and the nearby area). I would recommend this tour for a great orientation of Budapest. If you do this tour your first day in the city you can go back to the areas you want to see. Budapest is a beautiful city and 3-4 days would go quickly here. Andrea gave a very interesting and informative tour, with a good mix of history and current politics and events in Hungary. Her English was excellent and easy to understand. Our group all had a great time. Andrea was a great tour guide. She accommodated our group when we ended up being an hour late for the tour, and even paid to use the restrooms before we had gotten out money! This is the perfect tour if you want to get a general overview of the whole city and are tired of doing full walking tours. This tour definitely made we want to visit Budapest again. Andrea and her driver were great! I would recommend them to friends. Andrea was fantastic. She is full of knowledge about Budapest and Hungary and all its history. She speaks excellent english and understands Americans well. I highly revommend Andrea! Andrea took us to places we would never have found on our own, and she always added insightful comments that brought the location to life. Great experiences! We particularly enjoyed the private house tour on the Buda side where we saw an example of a villa built by a wealthy entrepreneur with wonderful style and taste. Always fascinating to learn about a foreign culture through the foods they eat, and Andrea has a wonderful sense of joy about Hungarian foods! Andre gave a great tour,despite having a family emergency. She quickly adjusted and helped salvage the rest of the day. This tour seems expensive, but after doing it, having the separate driver gave us much more time to see the city rather than finding parking all day. Well worth it. She was knowledgeable and congenial and we had a great day. Andrea was a great guide on my fastidio tour on Budapest, and show me the city and really had a great inductíon on the present life in Hungary. We had lunch in a great restaurant with the best strudel. Outstanding. Andrea is very obviously proud of her country and her home town of "Pest-Buda" and demonstrates it as she weaves her stories as a young girl growing up here with the present. There were new adventures for us at every turn - and yet Andrea would be greeted by or greet friends everywhere. It really made you feel like you were part of this rich culture, at least for the day. Amazing tour, Andrea did not miss a beat, sharing the historical story of Budapest (Pest side) while weaving her own personal account into the story of her native country and city. Cannot wait to get back home to recommend her to others. My friend for whom I made this booking was extremely impressed with Andrea and her service throughout the day in Budapest. If you're looking for someone that knows Budapest and specifically it's history Andrea is your gal! We had a whirlwind tour as we were only in town for the day and I felt as though we now have a Doctorate in the history of Hungary and Budapest in particular. Andrea and her driver were friendly, courteous and on time. Andrea is a walking encyclopedia and historian. A fabulous morning. She made everything so interesting. The narrative did not stop for four hours. She knew the answer to every question thrown at her. Andrea did a awesome job. She gave us insight into the lives of the Hungarian people, their cities, and political situations. We had 4 on our tour and all where very impressed, and we all confirmed at the end of our vacation, that Andrea by far was the best. What a delight! Extremely knowledgeable and extremely flexible, Andrea made the most of our time in the beautiful city of Budapest! It was a magical day and one that will always be remembered. Andrea will be part of our family history forever. Can't wait to go back! Andrea and her driver did a wonderful job. She was very thorough with the tour and went into wonderful details. She is a very pleasant woman who has an in depth knowledge and passion for Budapest. We were very pleased with all aspects of the tour. The driver was very professional and courteous. We would not hesitate to take another tour with Andrea. Andrea was wonderful. We did not know what to expect on this tour and she blew us a way with her knowledge, humor and true caring of her country and its relationship with the Jewish people. She provided both a history as well as a present day perspective. She is experienced as a guide and was able to engage adults as well as two teenage girls. She arrived in a beautiful brand new Mercedes van which was very comfortable. We have had many guides in our time in Europe. She was by far the best. Andrea was fantastic. This was the best part of our trip to Budapest. She is incredibly smart, insightful, interesting and really brought Budapest to life for us. I would recommend her tour to anyone. Andrea was a phenomenal tour guide who showed us all in just about 3 hours and then took us on a caving tour. She picked us up at our hotel with her great drivers, and customized the tour to our interests and time constraints. We loved that she talked the whole time because we learned so much about the history and lay out of the city! The information she shared was very interesting and really resonated with us. She dropped off us at one of her favorite restaurants at the end of the tour which was lovely. We had the pleasure of having Andrea as our guide for an all day tour of Budapest. It was one of the best tours we have been on. Andrea covered Budapest with us from the hills of Buda to the flat plain of Pest. Her English is excellent, and her fund of knowledge extraordinary. She has a passion for her work and is able to clearly impart a complicated history to you in an understandable fashion. You couldn't pick a better guide to see the most beautiful city of Budapest. We had the pleasure of having Andrea for our guide for our Jewish Heritage tour. She was absolutely terrific. She has a passion for what she does, excellent English and a extraordinary fund of knowledge which she clearly imparts to you. You could not pick a better guide for this tour. Andrea knows so much history and is able to explain it all. We toured all the major sites and covered slot of ground in 7 hours. The car was immaculate and very comfortable for 4 guests. I would highly recommend Andrea! She was fantastic !! What a way to start a great adventure! Thanks, Andrea, for sharing your wit and wisdom with us. Your patient explanations and examples brought a complicated history into much better focus. But, of course, the tour wasn't just history, you shared your thoughts about life in modern Budapest, let us experience some of the unique cafe culture and so much more. Mazel tov on your daughter's wedding! Would love to see the pics! Andrea is very knowledgeable and we saw quite a bit with her in the Jewish quarter and much of the city. In a short time we covered alot of ground and learned quite a bit. She has an extensive knowledge of Hungary, past and present and her love for the culture and the country are quite evident. Her Jewish heritage and her deep links to the Budapest Jewish community are a plus. Andrea is very knowledgeable and highly enthusiastic. She is passionate about Hungary, but also wants visitors to have a clear understanding of the history as well as current political climate. The tour of The Terror House was a huge highlight. Very sobering, and without her we wouldn't have really understood what was going on. The visit to the Memento Park was well worth it. Fun tour especially if you have kids who want to try new foods, highly recommend.